A little note to say that I felt so honored to read Carl’s name, along with my brother’s and others’ at this tenth anniversary ceremony in NewYork. Many blessings to the family and “extended family”. You are not alone and Carl is not forgotten. This past Saturday in Charlotte NC, I had the honor of carrying the tag of Carl Molinaro up 110 floors. 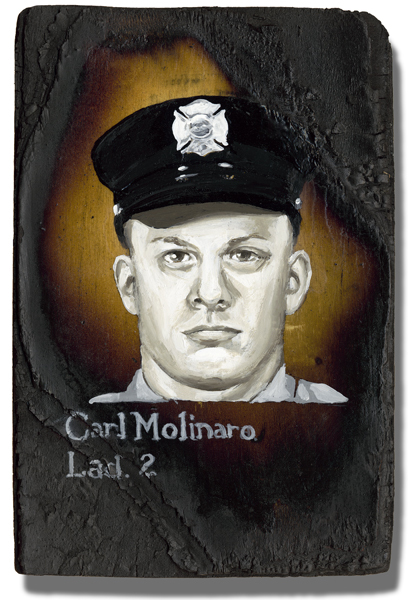 Since then, I have googled Carl Molinaro a bunch so I could learn of what a great man he was. Even though I have never met Carl, I will continue to think of Carl every 9/11 from here on out and many more days of the year. His tag with his name and company on it will be proudly displayed in my home. Thank you for allowing me the honor.